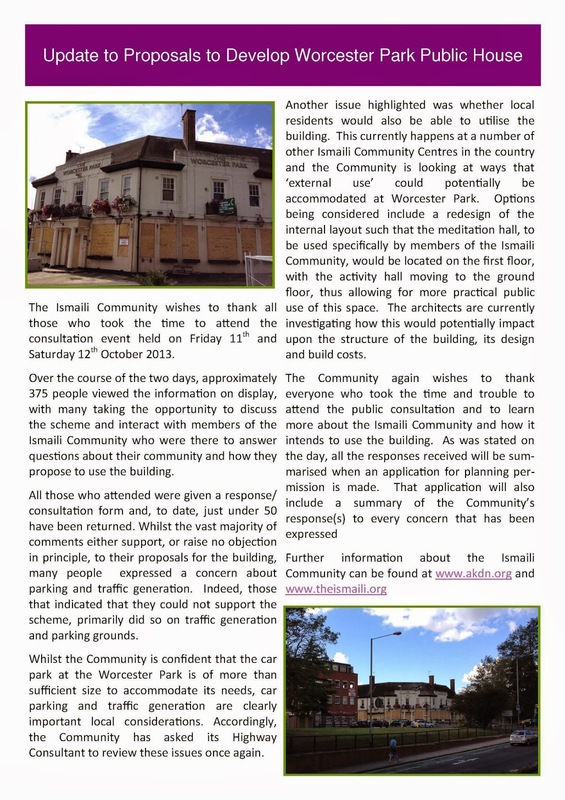 Many blog readers will remember back in October when a local Ismaili community opened up the old Worcester Park Tavern to consult the community on turning it into an Ismaili community centre. Many people have since contacted me to ask what is happening but up until now there has been little to report. However there has now been another small development. The Ismailis have issued an update on the situation addressing many of the issues that have been raised. Copies of this update (as shown below) are being posted through letter boxes close to the site.